Aug. 7, 2014, 2:10 p.m. According to a survey sent to readers this week, the new offering would give users 30 articles a month for $8, over 45 percent lower than the current cheapest offering. Now, for readers who hit the paywall at 10 articles, digital access starts at $15 a month for access to NYTimes.com and Times smartphone apps. Good on the Times for testing out new pricing strategies, and I wish them the best. What the Times does here will have a broader effect on the many other American newspapers who’ve launched paywalls and found their initial subscriber growth stall or reverse course. But I have to think if an underwhelming number of people are willing to pay for NYT Now — a very polished product with a lot of added value — this isn’t going to be a revolutionary money maker for the paper. As always, the biggest leap in pricing is from free to 1 cent — the act of paying (and committing to future payment, in a subscription) is the bigger hurdle than $6 vs. $8 vs. $15. Tim Cook once said he wanted to make sure “that we don’t leave a price umbrella for people” — in this case meaning a market opening for non-Apple tablets that would be substantially cheaper than the iPad. But (a) the iPad’s market share has been dropping substantially anyway. 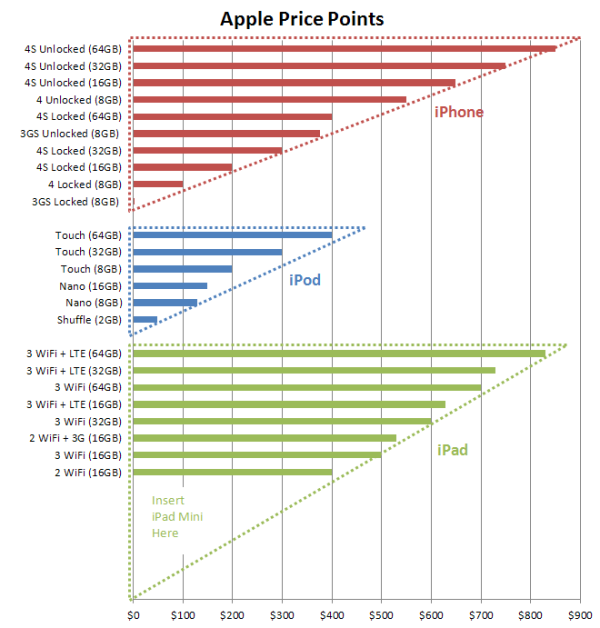 And (b) in the case of tablets, an expensive product is competing with a less expensive product. In online news, any paid product is competing with free. Benton, Joshua. "The New York Times is thinking about new ways to compete with free by charging less." Nieman Journalism Lab. Nieman Foundation for Journalism at Harvard, 7 Aug. 2014. Web. 20 Apr. 2019. Benton, Joshua. "The New York Times is thinking about new ways to compete with free by charging less." Nieman Journalism Lab. Last modified August 7, 2014. Accessed April 20, 2019. https://www.niemanlab.org/2014/08/the-new-york-times-is-thinking-about-new-ways-to-compete-with-free-by-charging-less/.